Locked out? Key stuck in the door? Need new keys? For that, and any other residential locksmithing needs in the Shreveport or Bossier, LA area, call Lock Busters! Yale locks, Kwikset locks, Schlage locks, Baldwin locks, Sargent locks and much more. We re-key, repair, sell and install all types of locks, including door knob locks, deadbolt locks, bedroom and bathroom locks, and keypad locks. We open door knob and deadbolt locks safely and promptly. We extract broken keys and make new keys on site. Have more then one key to your home? We re-key your home to one key for your convenience. Do you own more then one property and want to access all properties with one key? 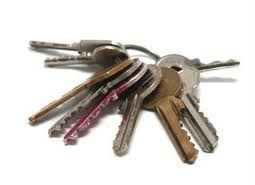 We master key multiple properties, which allows the tenant to each have their own key, while the property manager has a single key to all properties.